Against the backdrop of the historic Dover Bridge in Easton, Md., Gov. 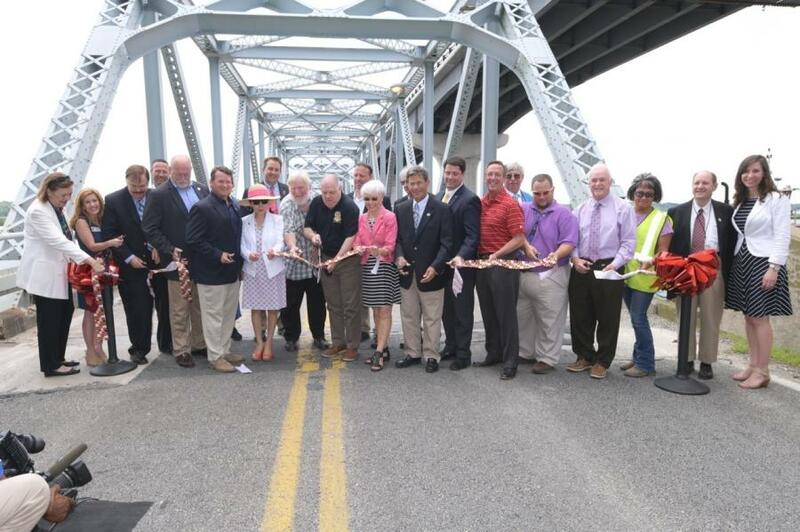 Larry Hogan celebrated the official opening of the new Dover Bridge along MD 331 (Dover Road/Dover Bridge Road) over the Choptank River on June 13 with an official ribbon-cutting, a full year ahead of schedule. This $65.4 million project replaces the existing swing-span bridge with a higher fixed-span, two-lane bridge with shoulders. The governor was joined by Maryland Department of Transportation (MDOT) Deputy Secretary Jim Ports, MDOT State Highway Administration (MDOT SHA) Administrator Greg Slater, state and local officials, residents, businesses and project team members. Motorists began using the new Dover Bridge the afternoon of June 12. 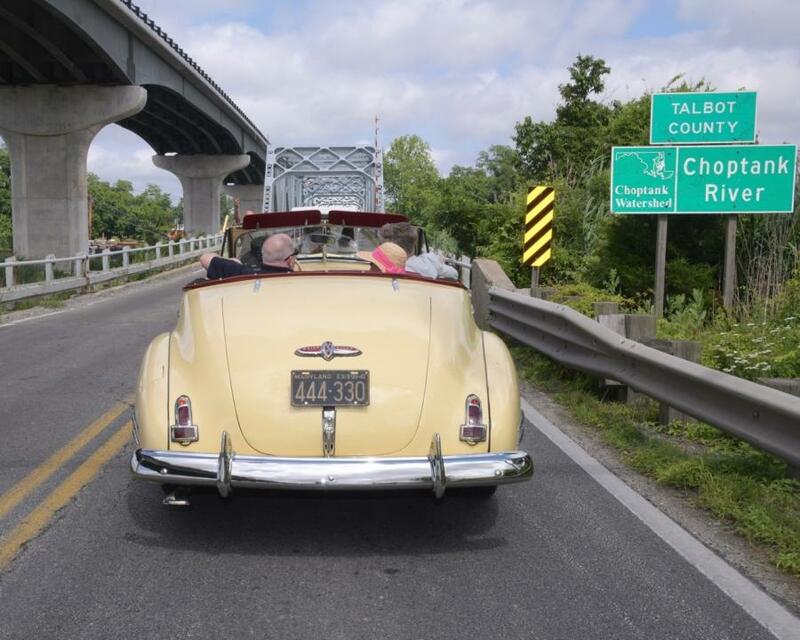 The governor arrived at the event after taking the final drive across the old Dover Bridge in a 1941 Buick owned and driven by Darlene Spence, who is affiliated with the St. Michaels Classic Motor Museum. The old bridge, which is being restored as a historic structure, will remain in the open position and serve as a fishing pier for local residents and visitors. Constructed in 1932, the old Dover Bridge was set to open on demand for marine traffic, had 12-ft.-wide lanes and no shoulders, and had been the subject of decades-long safety concerns for local residents. At times, the swing-span bridge would close to traffic due to mechanical failures that caused severe traffic delays and time lost as crews rushed to make repairs. When bridge motor malfunctions or a crash occurred on the bridge with no shoulders, drivers were rerouted up to 45 minutes out of their way along a 33-mi. detour to reach the other side of the bridge. Issues at the bridge also isolated area residents and hindered emergency responders' access to the University of Maryland Shore Medical Center at Easton. The new structure, which was constructed by McLean Contracting Inc. of Glen Burnie, has two 12-ft.-wide lanes and two 8-ft.-wide shoulders. The 50-ft.-high, fixed-span bridge allows marine vessels to use the river without stopping bridge traffic. During bridge construction, the contractor closely coordinated with local emergency responders, subcontractors, and county agencies to minimize impact to the community. The Hogan administration's current six-year transportation investment in the Eastern Shore totals $746 million. Hogan highlighted the administration's successes in delivering on promised projects from his $2 billion investment in roads and bridges announced in 2015. All 69 structurally deficient bridges identified in June 2015 have now been rehabilitated, replaced, or are in the construction phase. Just three years after his promise to fix these 69 bridges, the final projects are being advertised for construction. The Hogan administration also has delivered on other promised local projects including: $28.1 million rehabilitation of 11 bridges along the Salisbury Bypass that opened to traffic by this past Memorial Day; the $158 million dualization of MD 404 between U.S. 50 and Denton opened to traffic by Thanksgiving 2017, and the $133.9 million widening of U.S. 113 Phase 3, which is nearly complete, and the final phase, which just began construction. “Our administration will continue to fight for transportation infrastructure projects that help Maryland citizens go about their daily lives in a more efficient and safer manner,” said the governor.